New Zealand has only two (possibly three) endemic mammals, both bats. The Endangered lesser short-tailed bat is found only at a few scattered sites. These are very unusual bats- they are much smaller (12-15 grams) than bats you might be familiar with, and they feed on the ground, using their folded wings as `front limbs’ for scrambling around- very mouse-like! Of course, feeding on the ground, and roosting in hollow trees (where they go into torpor in the colder months), makes them prey for possums, stoats and rats. 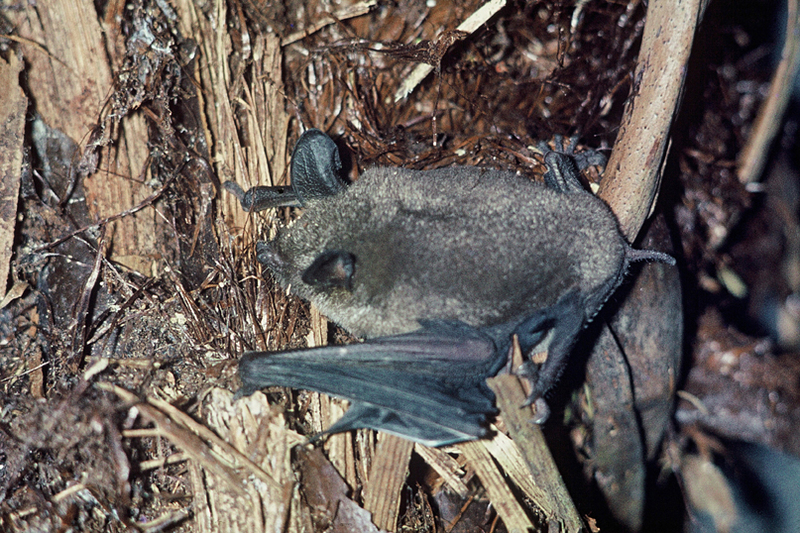 In 2004 the first pregnant bats were transferred to Mt Bruce captive facilities; 20 pups were produced and were transferred to Kapiti Island in 2005. A minimum of 12 stayed on the island and survived at least 8 months. A further three pups were transferred in 2006 and all survived a similar time. Maybe translocating young bats was now a feasible option for bat recovery. We were asked to assist with a subsequent transfer and committed $20,000. In the meantime though, the bats developed severe ear lesions, which are treatable but the cause remains unknown. Current work by DOC scientists and wildlife vets from Massey University will focus on identifying and preventing the cause of the bats’ ear lesions, and on refining transfer techniques, possibly with a less endangered population. A lot of conservation projects, including this one, do not meet with instant success and a good-news press release. We’ve been impressed by the openness that DOC has displayed with us as potential sponsors, and with the taxpaying public. We also admire the rigour of the processes they are going through to fix the problem. DOC commenced rat and stoat control around the known roosts in 2008-2009. They were short of some bat detection gear and video monitoring equpiment. 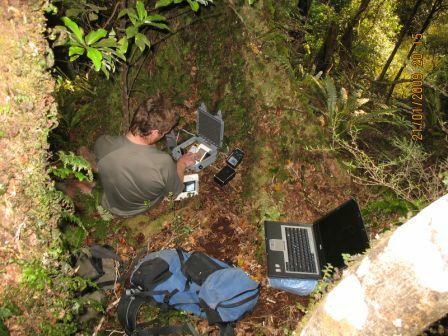 Electronic recording devices are essential to measuring the outcome of this pest control on the Waiohine bats. 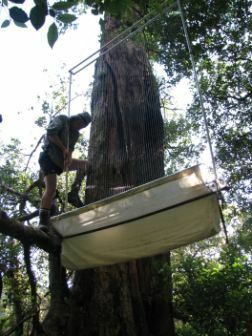 They are also used to further clarify the distribution of Waiohine bats and roosts, detect areas of high bat activity and to measure changes in the number of bats. Phil Brady and his team installed several video cameras and automatic bat detector recorders with an expected life of around 5 years. Hopefully they will get some useful results. Funded by Fauna Recovery New Zealand ($5,200).